Moments of Mommyhood: How Sweet It Is! 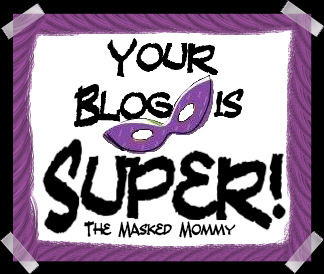 Here are the five blogs I think are super! Awe, thanks Sandy! You made my day a little brighter. It is purple my favorite color!! Thank you so much Sandy for this SUPER award! I appreciate bunches coming from a great Mama like you! Wow! This means so much to me because I LOVE your blog and get so many ideas from you. Thank you! I am smiling, I am humbled, you made my day! Thank you Sandy! 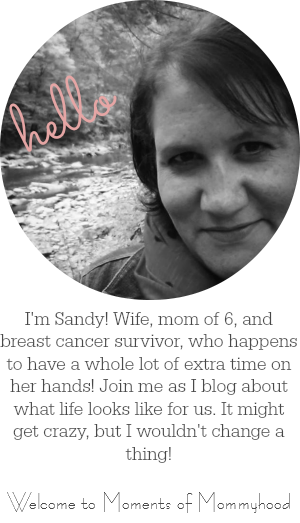 My blog can never compare to such a great blog like yours!! !